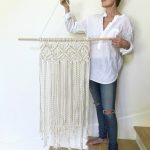 Do you have a painting project that is on your to-do list? Don’t we all? Due to time constraints and arm issues I decided to hire a professional for this paint job. In this blog post I am going to share my experience with you. I asked my pro all kinds of questions and documented his step by step recommended tips to share so you can paint like a professional! I learned a lot hiring my pro to complete this exterior paint project. Seeing how a real pro works was enlightening. I thought this would be valuable information to share with you all. 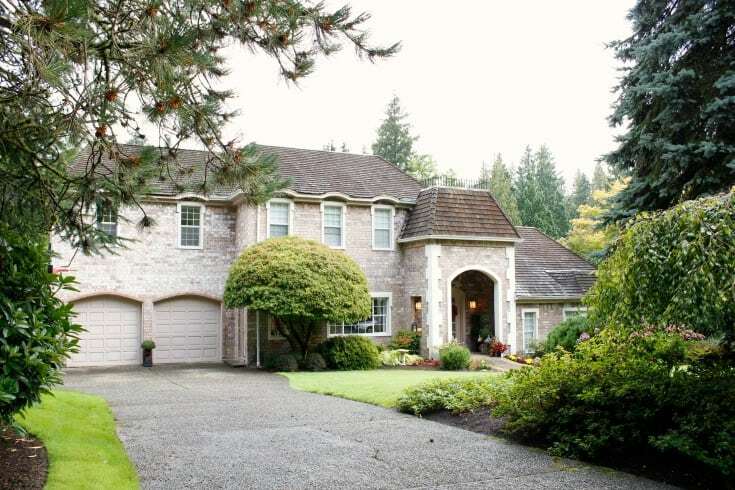 Having a brick house in our rainy climate of Seattle is a blessing! It weathers the rain tremendously well. But the few areas that are painted the rain can take its tole. You can’t see it from this far away but our garage doors were peeling. 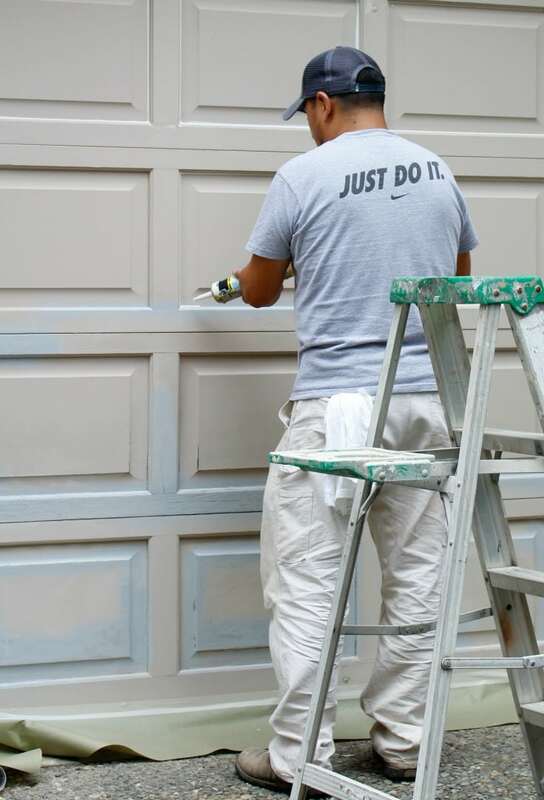 Every time we would pull up close in the driveway my husband and I would say to each other, “We need to paint those doors…” As all you homeowners out there can attest, homes need a lot of upkeep, so this job was just added to the list of maintenance. We’re so happy we finally can check this one off the to do list. 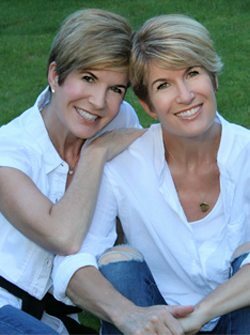 This blog post is sponsored, but all the opinions we express are fully and uniquely ours. We work with sponsors who we genuinely love to always bring you authentic material. Enjoy! Because of the tough weather elements I really wanted to make sure we used the best paint products. It was very important to me that the paint job last for years to come. I chose Sherwin-Williams Paints because of their reputation for quality. Also, I met with my painter, Felipe, who has been painting the interiors and exteriors of homes in the Seattle area for 15+ years. When I asked him what paint to buy he didn’t hesitate: Sherwin-Williams Emerald. OK, I said, now we’re getting somewhere! In the end, when you choose quality products you save money! This paint job will last for many years which saves me valuable time and money. 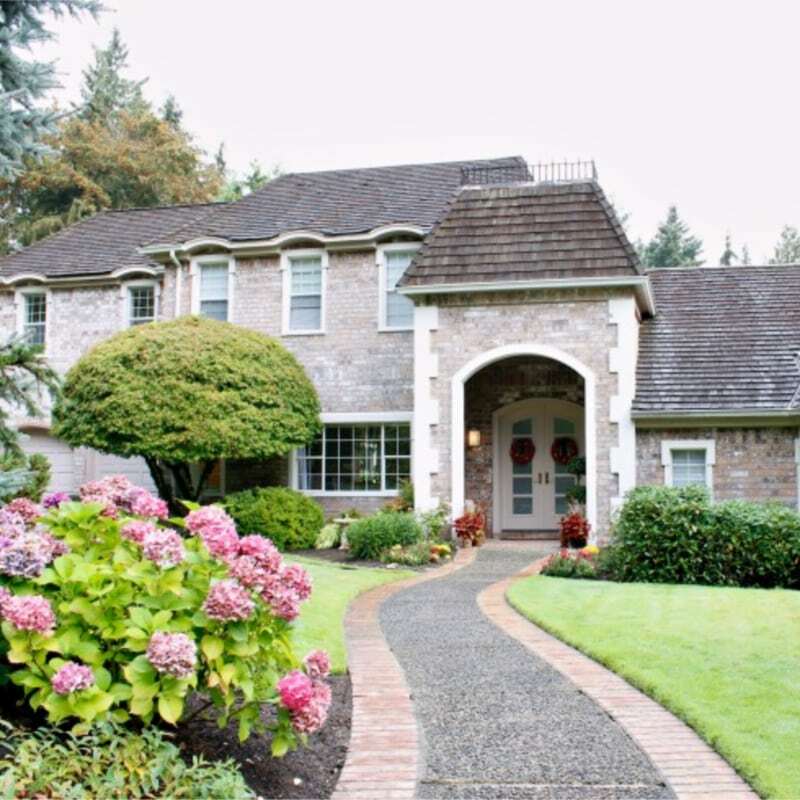 If you are anywhere in the state of Washington Felipe and his team will welcome your interior and exterior painting projects. Felipe has been painting with big companies and for his own company Emerald City Painting, for over 20 years. You can reach Felipe directly at (206) 794-2429. You can also contact him through Instagram @emeraldcitypainting Not only does he do a meticulous job he is also a sincere joy! When I had a preliminary meeting with Felipe and we were talking about paint he was very honest with me. I asked him what paint he recommended and he told me Sherwin-Williams Emerald. I asked him why. He said he takes great pride in his work and often drives around checking on his past jobs to see how they are lasting. He says there are jobs 10+ years old that still look perfect! 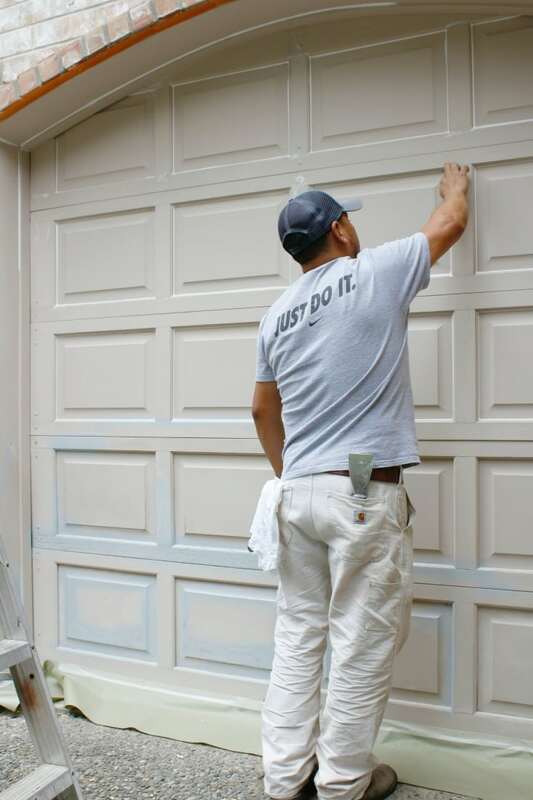 For him, Sherwin-Williams stands the test of time, and he says, makes him look good! Now all I had to do what choose the color. I had been contemplating changing out the very monochromatic look of the doors to a soft grey. I headed to my local Sherwin-Williams store in Sammamish. On my first trip they had no idea I would be “evaluating” their service, writing a blog post on my experience, etc. They treated me as they would treat anyone. The whole team was so helpful from the moment I walked through the door. They acknowledged me immediately, and there was no waiting. 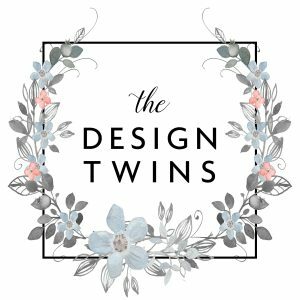 They spent plenty of time talking me through the different products and even helping me think through color choices. They never made me feel rushed. On the contrary, I felt very valued. They sent me home with the whole color wheel and told me I could keep it. Each time I visited the store I was treated the same, like a VIP. I found myself looking for excuses to pop in and say “hi”. They were knowledgeable, friendly, and very helpful. I never carried a can of paint. Each time they helped me to my car. One time they even made a special delivery to my house! Wow! If I wasn’t a fan before I sure am now. After plenty of soul searching I finally made my decisions on colors. 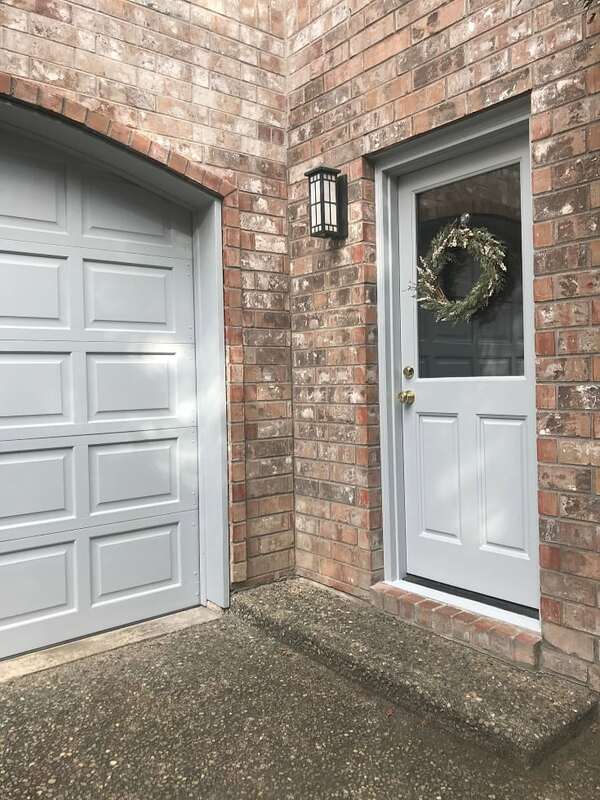 I opted for 2 shades of gray: one for the garages and side door which get full sunlight and one lighter shade for my front doors under my portico. 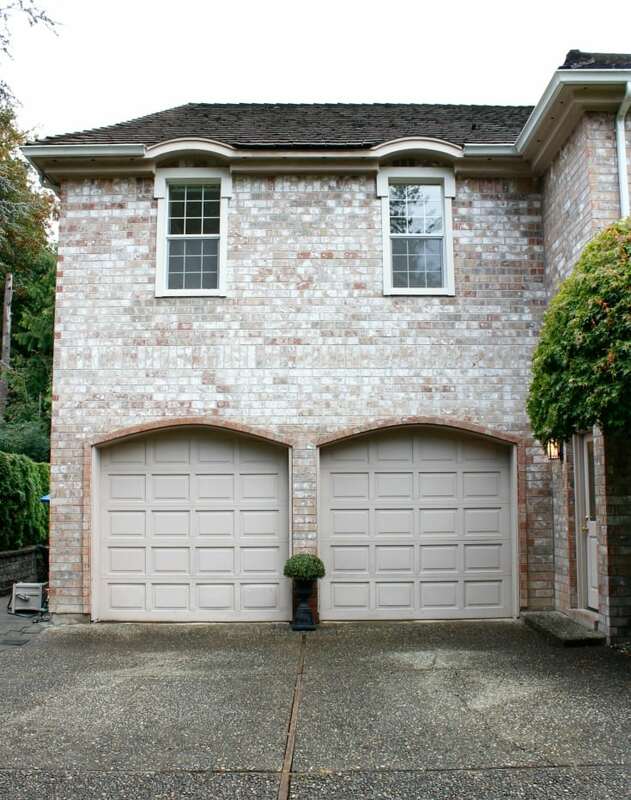 The darker shade for the garage and side door: Krypton, Sherwin-Williams Exterior Acrylic Latex in Satin. I chose satin because I didn’t want a dull, flat but didn’t need the pop of the gloss as with my front door paint choice. 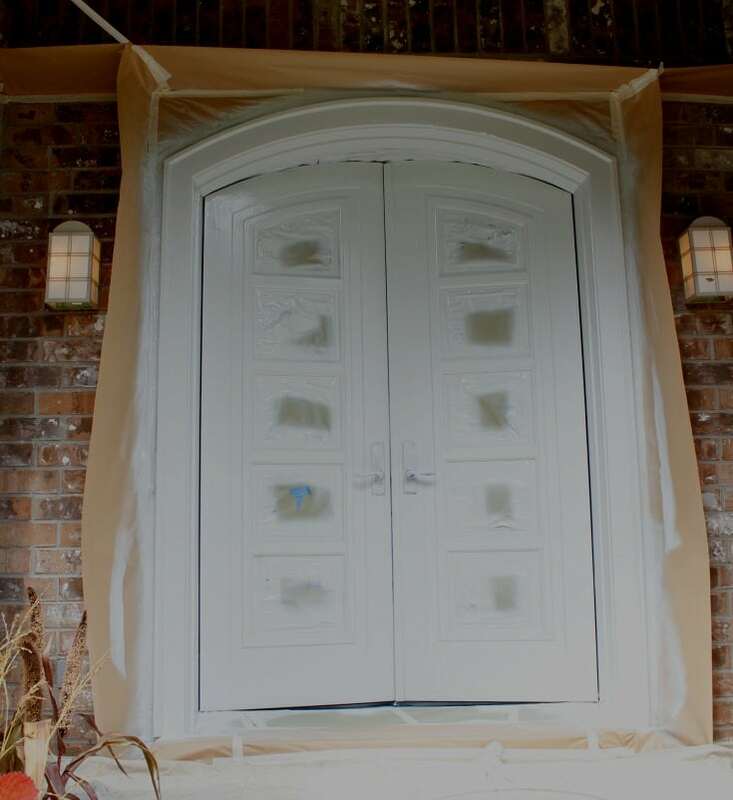 The lighter shade for the front doors: North Star, Sherwin-Williams Exterior Acrylic Latex in Gloss. 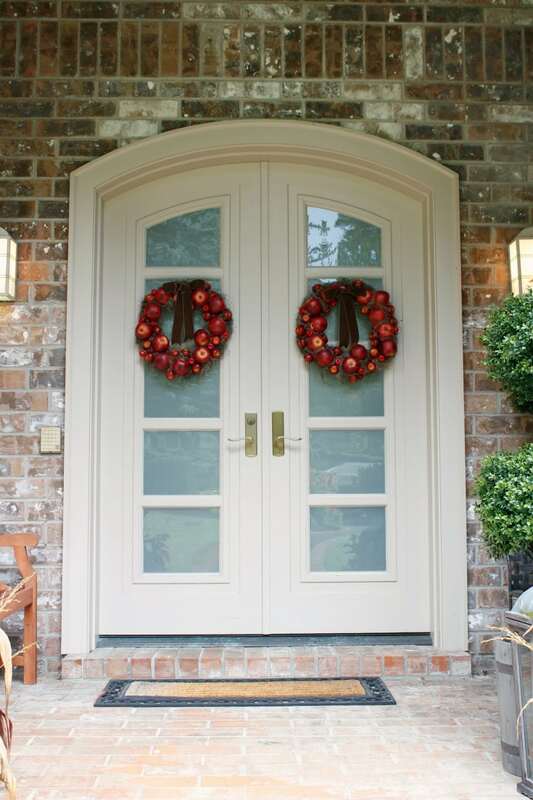 I chose gloss because I really wanted the doors to pop and catch as much light as possible being covered by the portico. 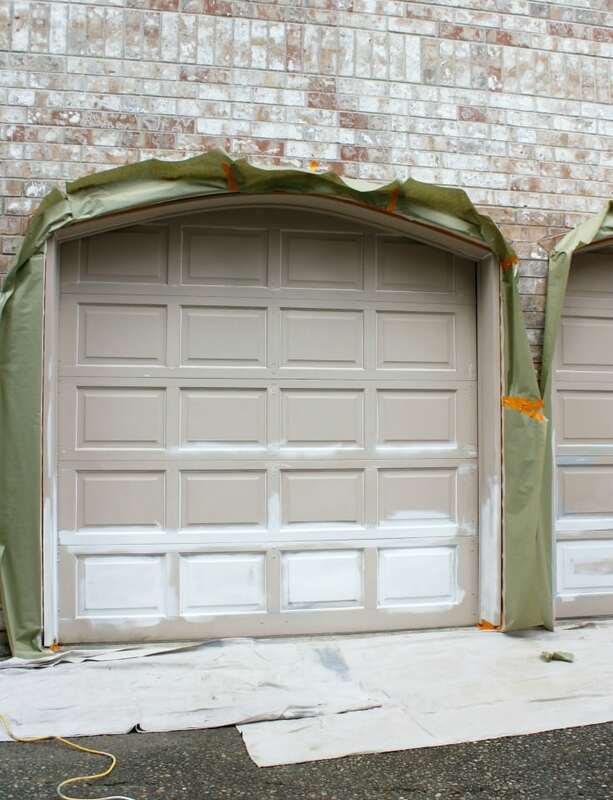 Quality paint goes on more easily, covers better, and lasts longer. Buy paint with a bit of a sheen. It will resist fading better and clean more easily than flat paint. Sanding is crucial to preparing the surface before painting. Using a hand-held electric sander makes the job a lot easier. I just bought my first sander. It’s a good investment and saves time (and pain). I was surprised to see Felipe doing this step. When painting molding or woodwork with crevices it greatly improves the final look to freshly fill the edges with caulking. After applying he smoothed easily with his finger. Painting on top of paint doesn’t always require priming. When I asked Felipe why he was priming some areas he explained. Whenever raw wood is exposed you need to add primer on top of those areas. In this case all the peeling areas needed to be completely sanded. This exposed the wood requiring a layer of primer. Notice how he covered the surrounding areas with tape and paper before spraying the primer. 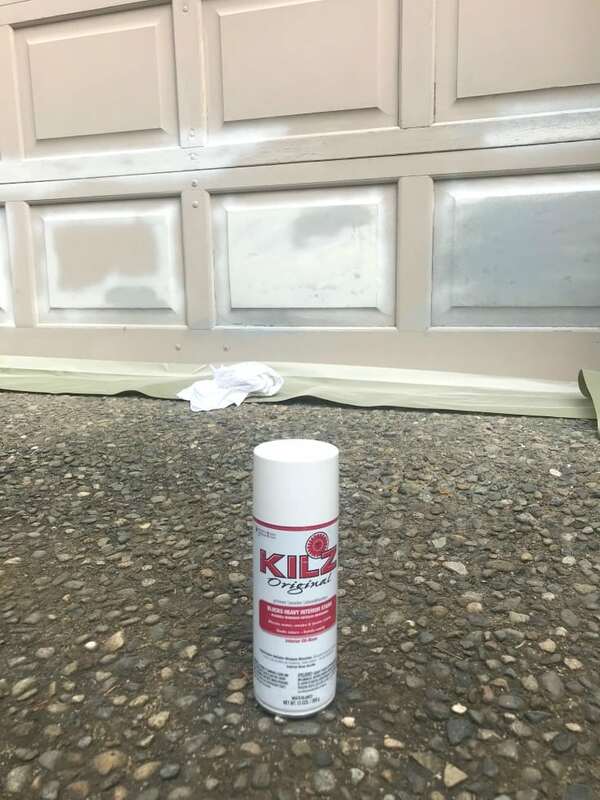 The pro choice for ease of use and quality priming as shown above and below: Kilz Original spray primer. Felipe says its affordable and works great. Click the photos to purchase using our affiliate links. The final step in prepping is so important. This is what separates the pros from the not so pro! If you skimp on protecting the surrounding areas you will be left with a mess! Take a look at the above photo. Felipe and his dad did an amazing job perfectly protecting both the edges as well as the surrounding areas with tape, plenty of paper securely placed and tarps. He did not want his spraying to touch anything else. I was very appreciative of his attention to detail. I didn’t find one single drip. This is the mark of a professional. He recommended using heavy duty canvas drop cloths to stand up to the elements and for lasting durability. As you can see a painting project is actually more about the prep work than the actual painting. When Felipe and his dad worked on this project they worked from 10 until 2:30 on prep work. 2:30-4:00 they painted. Granted they used a sprayer but still! Good pros will take their time. Felipe and his dad spent over double the time on the prep work. It’s definitely worth it in the end. 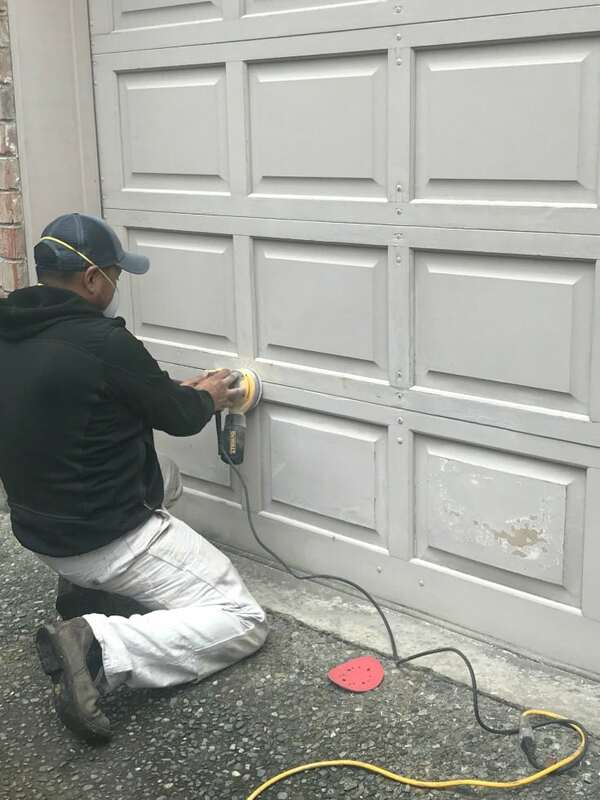 If you choose to brush paint or roll visit Family Handyman to read detailed instructions for painting techniques as well as more pro painting tips. 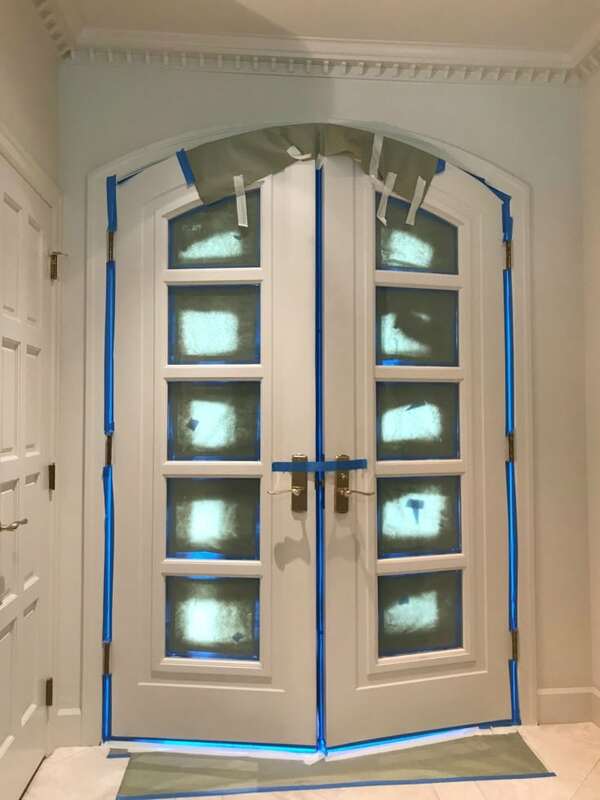 Again, with my front doors, you can see the meticulous job my pro did covering all the edges, including the doors’ inner edges. Here is the view of my front doors just painted. The glass inserts were perfectly protected as was all the surrounding brick. The moral of the story is: Prep work pays off. 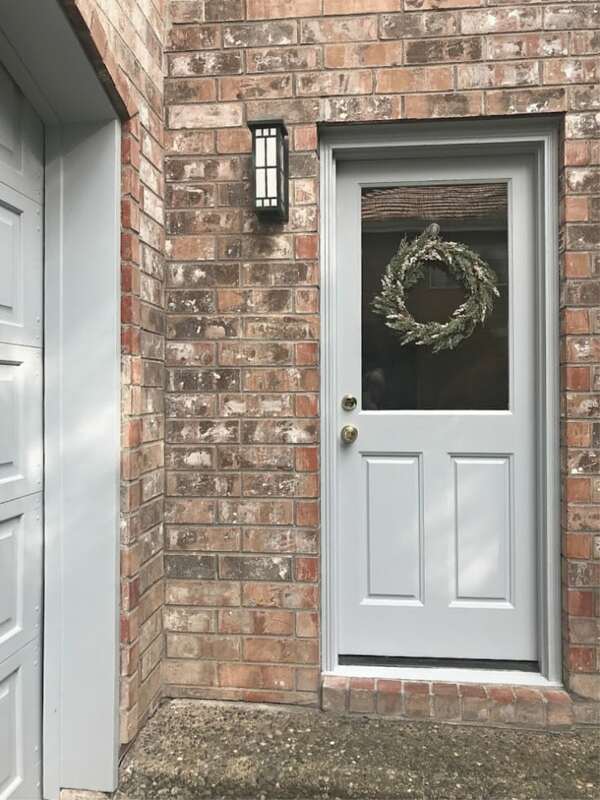 Here is the final look of my new front doors with the fresh gray color. The door paint color I chose: Sherwin-Williams North Star. The paint product I chose: Sherwin-Williams Emerald Exterior Acrylic Latex Gloss. I chose gloss because I really wanted my doors to pop. 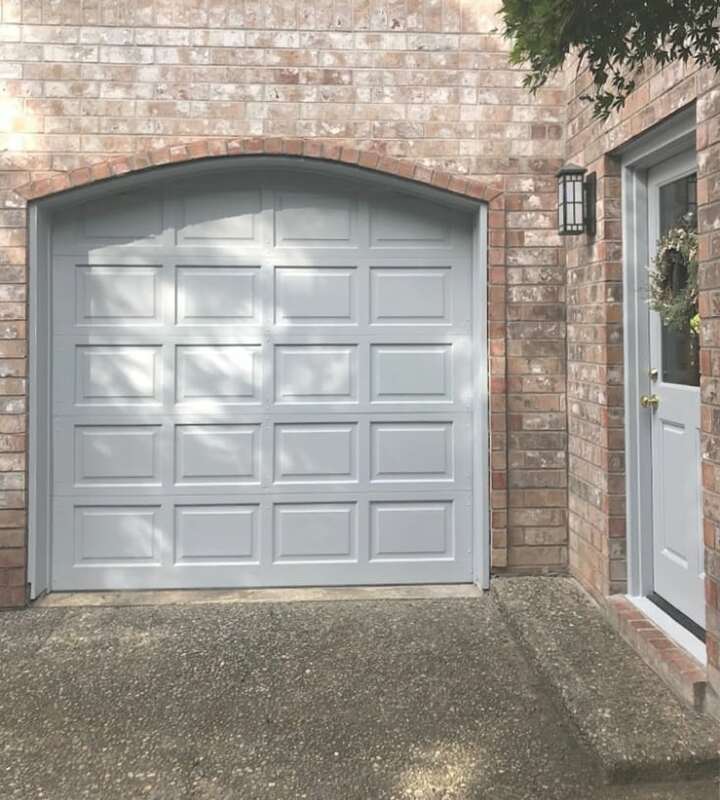 This shade of gray is lighter than the shade I chose for the garage and side doors, but I felt they go well together. 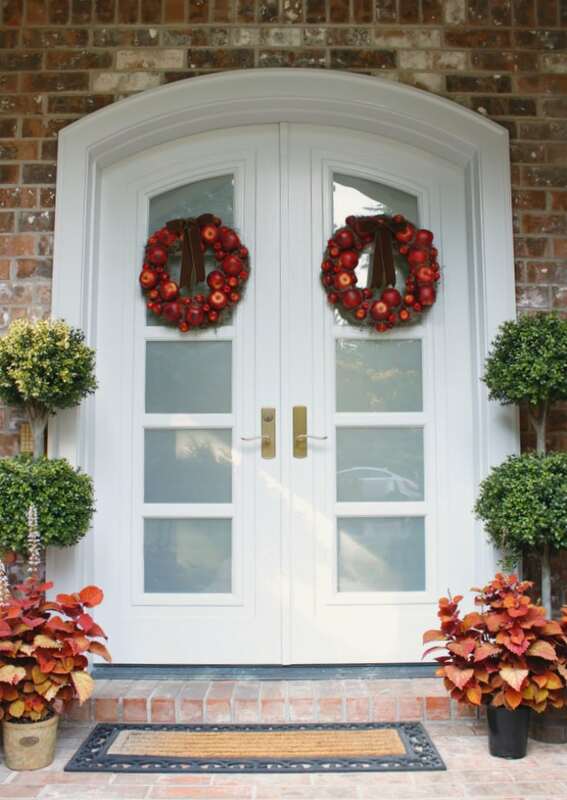 Specifically I went with a lighter shade for the front doors because the doors live under my portico in the shadow. Here are some views of the finished look of the garage doors and the side door. I love the new color. Now with the new gray accent color I don’t like my window trim color. It’s funny but true how one project definitely leads to the next. 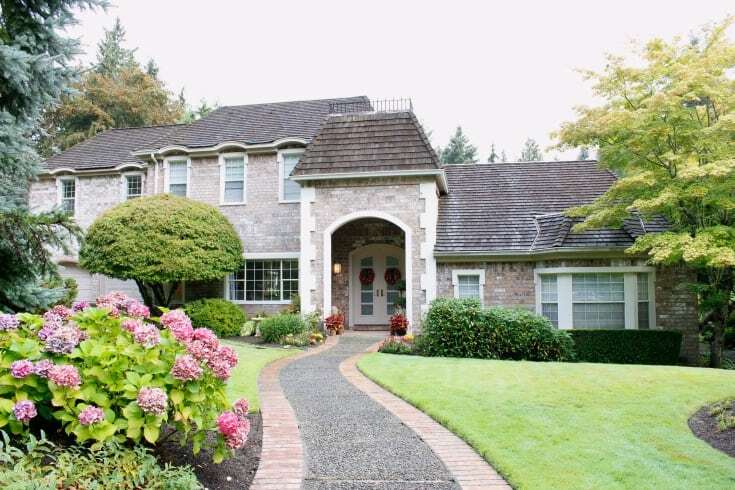 I think the house will look even better if I paint all the trim, especially the trim around the windows a matching gray. Hopefully I will have this done relatively soon. But I think it looks fine in the meantime. Here’s a better view of the side door. I love how the gray paint picks up the gray colors from the brick. The house looks bright and fresh. And no more peeling paint…check! Take the tips from a seasoned painting pro. 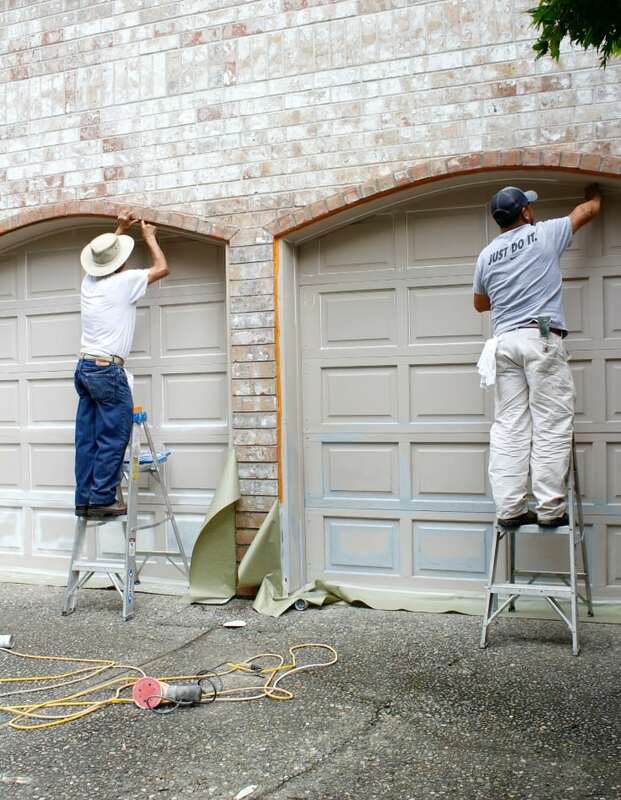 Definitely take your time to prepare your surface and protect the surrounding areas before you paint. Also, invest in quality paints for lasting beauty. Following these tips will save you time and money in the end. I am certainly no painting expert but after spending time with my pro, seeing how he works and makes him decisions I feel much more empowered to paint on my own for the next project. I sure hope you feel more confident too! Definitely stay tuned because I will be sharing my big kitchen cabinet painting project next! Blessings & Happy Painting, Sweet Friends! 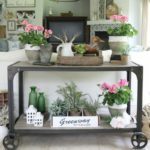 Have a paint project you're thinking about? Learn the tips from the pros! 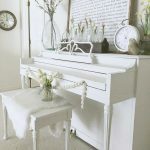 Step by step how to paint to achieve lasting, beautiful results. 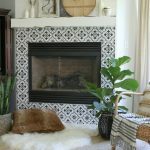 We share all we learned from our recent experience with a professional painter. 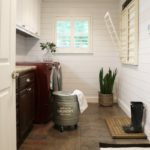 What paint to use, important prep steps, and the right tools. Thx for all of the painting tips. Your home looks beautiful and I love your color choices! We are busy painting too and I can’t wait for the reveal part. lol. So hard to wait! I’m a Sherwin Williams girl. And everyone at our store is so nice too! Everything looks extra beautiful wearing fresh paint. The doors all look wonderful and you picked great colors. I live in Sammamish & would love for you to share the full name & contact info for Felipe, your painter. Thanks so much & thanks for the article! I would be happy to share Felipe’s info. We are getting him started on Instagram, hopefully today. He’s been painting for over 20 years but I am encouraging him to create a website etc. so he can grow. He is a wonderful man and the best painter I’ve met so I’m so happy to help people learn about him. His company is Emerald City Painting. His phone number is (206) 794-2429.